Lacy is one of the most precious people I know! She has a beautiful, infectious smile and the sweetest heart. Her love for the Lord shines through to everyone who meets her. She & I have known each other for most of our lives. We grew up going to church together & have a special bond because we were both adopted and have similar stories. She has always been like a little sister to me & we have always referred to each other that way. Our moms are best friends too and we have always had fun mother-daughter outings, trips, etc. She & I were always a lot alike growing up. I could go dig in old pictures and find lots of funny ones of us in matching outfits & being silly, playing softball (we were both pitchers), acting in church plays, etc. My first “job” was working at her mom’s hair salon, & I let her share a locker with me when we were in high school. She was the coolest freshman having locker access on the senior hall! It’s been so much fun to see how our friendship has grown through the years and how we still have so much in common. She & her hubby are also in youth ministry & love to work out. Her friendship is so dear to me. 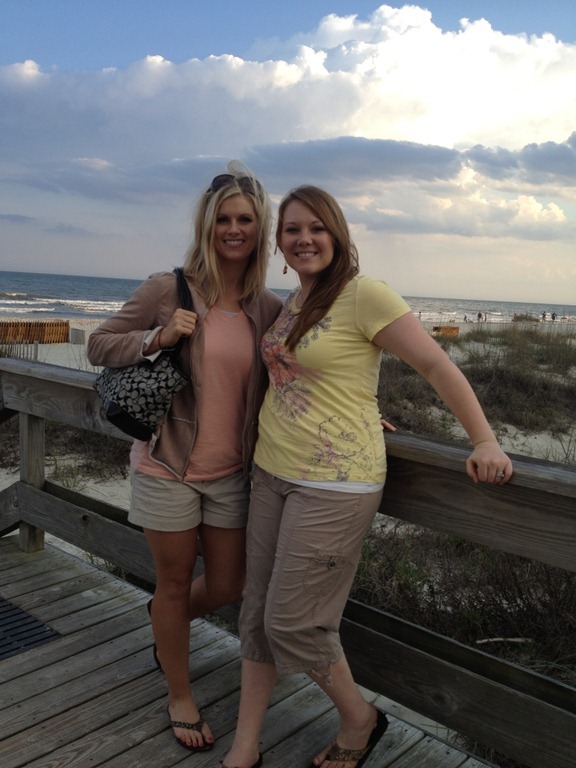 We enjoyed a trip to Hilton Head together last Spring Break with our moms….right before she found out she was expecting! I found out I was pregnant a few months after her, and it was fun to talk baby talk with her throughout our pregnancies. I also had the privilege of taking a few maternity pictures for this gorgeous couple. Is this not the most BEAUTIFUL picture?!?! Josiah was born January 23, 2013. Lacy & Anthony were instantly in love with this sweet little man! Josiah has a defect called has a congenital heart defect called Hypoplastic Left Heart Syndrome along with a restrictive atrial septum. He had to have surgery within his first few days of being born and this tough lil fella has already been through so much. They are both extremely hard workers and have been very good stewards of their money. Anthony is also former military. They have already capped out their insurance on his other procedures and hospital stays, & I cannot imagine having to think about the financial burden on top of worrying about their sweet son. But now that I am a mom too, my heart aches in a whole new way. I just CANNOT IMAGINE what they are going through- their thoughts, fear, pain, uncertainty. My heart just absolutely aches for them. Lacy & Anthony’s unwavering faith has been incredibly inspiring to me and so many others…& I know God has big plans to use their testimony in a mighty way. *Visiting Lacy's Blog or the Facebook page to make a donation. Thank you for your prayers and support of my sweet friends & their precious little miracle.